Xiaomi is Officially rolling out MIUI 9| Here's an Overview| Download Stock Themes & Wallpapers. Xiaomi is Officially rolling out MIUI 9| Here’s an Overview| Download Stock Themes & Wallpapers. Leave a Comment on Xiaomi is Officially rolling out MIUI 9| Here’s an Overview| Download Stock Themes & Wallpapers. 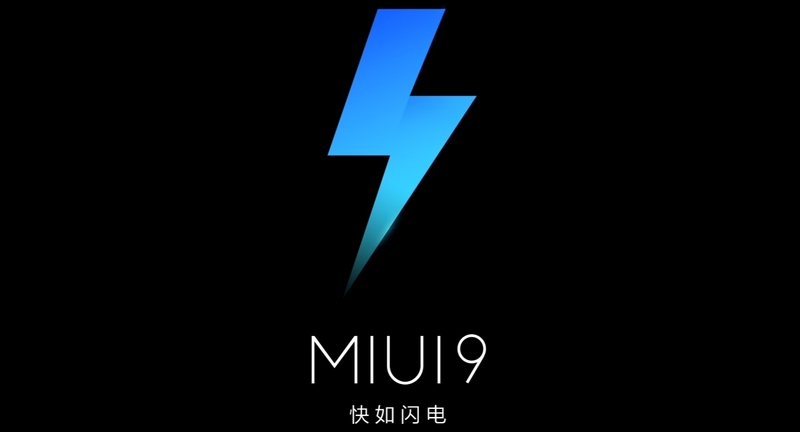 With the official launch of Mi 5X, the Chinese major Xiaomi has unveiled the most awaited firmware- MIUI 9. Although the official launch is scheduled for 11th August, the stunning features have already been revealed by the Mi community. The most notable features from the new firmware are- Image search, Smart Assistant, and a Smart App Launcher. Whereas, the light weight UX, Dynamic resource allocation, Split screen mode, revamped notification filter etc. are the other features in the lineup. Moreover, we have got our hold on the Stock Themes, Wallpapers, Ringtones etc. from the MIUI 9. You can grab the same from the downloads section below. For what we know, the MIUI 9 is based on Android 7.0 Nougat and will start rolling out publically to the eligible devices from 11th August. The new firmware will come to Xiaomi devices in the form of ROM’s, where- the China ROM will be exclusively for Chinese variants and the Global ROM will be for other countries with built-in Google Applications. Furthermore, if you are going haywire for the new firmware for your phone, you can try it right away. Xiaomi is calling beta testers to try out the MIUI 9 as always. If you don’t know how to sign up, here’s how to do it, but stay ready for a lot of bugs and bloatware. 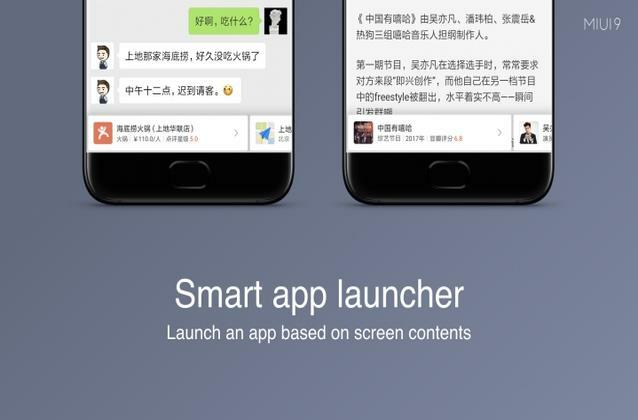 Smart App Launcher: Now this is something noteworthy, while reading, the smart app launcher will give you information about unknown things just by tapping it. For example, I came across this name Lei Jun when reading an article and I don’t know who he is. You just need to long press the name, term, item, and links, the relevant info will be shown automatically. 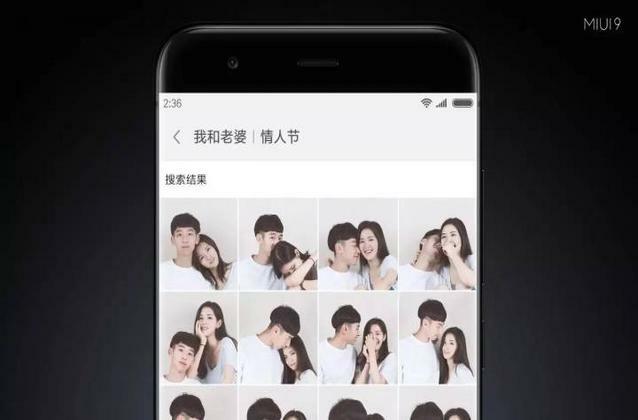 For users in China, you can even use this feature to shop without launching the app. 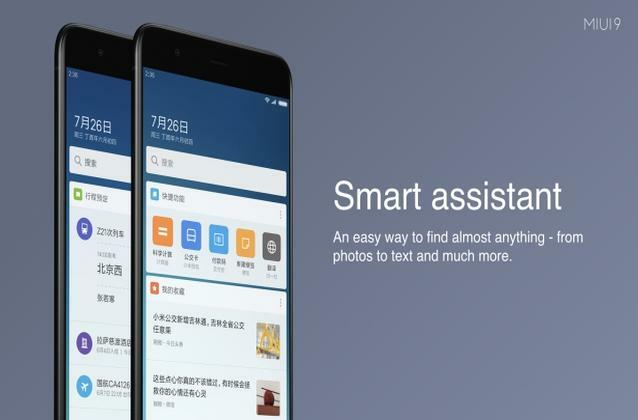 This would definitely be a game changer for Xiaomi users. Although the competitors OnePlus5, Huawei P10, and Samsung Galaxy S8 have really quick systems, Xiaomi has promised a much faster system after the MIUI 9 update. Here’s a video where Xiaomi has compared Mi 6 (running MIUI 9), Huawei P10 (running EMUI5.1) and Samsung S8 (running SE8.1) based on device performance after a 6 hours usage. The Stock theme and wallpapers are combined together in a .zip file. The file weighs around 20.4MB and you can download the same from our servers via the link given below. The stock wallpapers are 2 in number and have a full HD 1080 x 1920 pixel resolution. You just need to download and extract the .zip file on your computer and set it as wallpaper on your computer or smartphone. However, as the theme comes as a .mtz file, you need to import it on your Xiaomi device via the MIUI 8 theme app. Here’s a detailed tutorial on how to import the theme on Xiaomi devices. If you face any issues while downloading and installing the package, let us know via the comments section below. Share your experience after installing the theme.